Publication: A new and Comprehensive Gazetter of England and Wales by Arch'd Fullarton and Co. Glasgow. 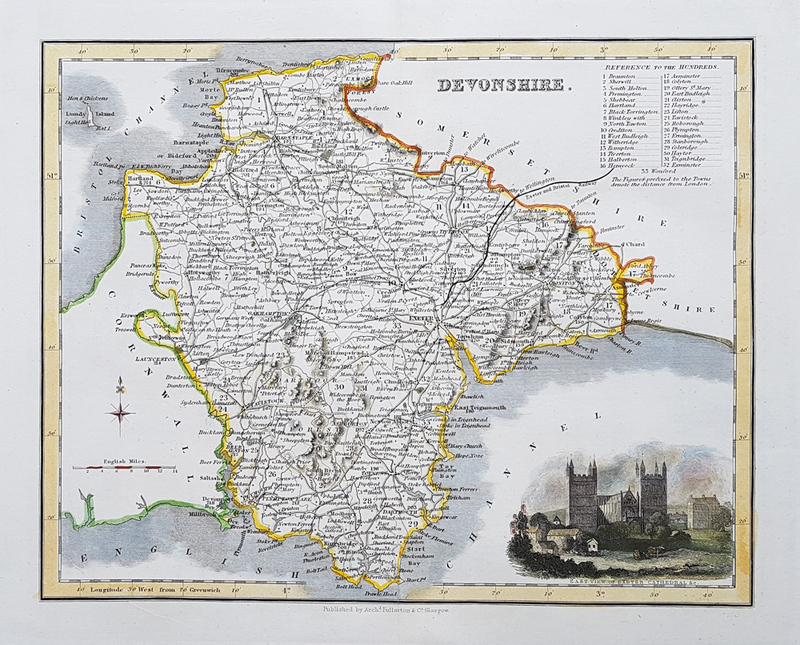 Description: 19th Century map of the County of Devonshire with a vignette of The East View of Exeter Cathedral. Features Exeter, Plymouth, Modbury, Tiverton, Okehampton, Totnes, Kingsbridge, Dartmouth, Salcombe. Condition: Folding copy, later hand colouring, good imprint.